Adele is the latest celebrity mother to talk about her experience of postpartum depression, which gets a massive thumbs up from us. Adele told fans at a recent gig that she was planning to expand her family as soon as her tour is over, but in her latest interview she’s revealed much, much more about her thoughts on having another baby — and it wasn’t a straightforward decision. 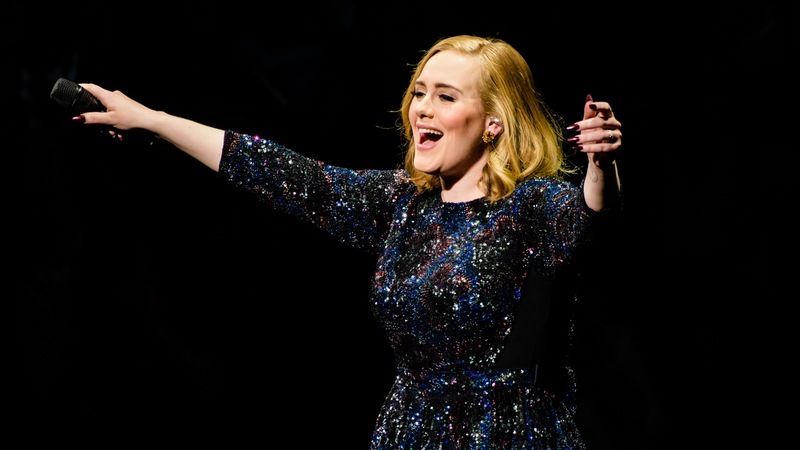 So many moms who have experienced postpartum depression will relate to Adele’s experience. According to the American Psychological Association, up to 1 in 7 women experience postpartum depression. So if you’re in a group of new moms, chances are several of them are going through the same mental health struggles. And it’s so true that sometimes, you just know who’s been where you are without having to exchange more than a few words. Like Hayden Panettiere, Drew Barrymore, Alanis Morissette, Brooke Shields and all the other celebrity mothers who’ve opened up about having postpartum depression, it’s incredibly brave of Adele to share her experience — especially considering how much she guards her privacy. We might think we have nothing in common with the women who walk the red carpet, grace the covers of glossy magazines and have bank balances we can only dream of. But when you become a mom, none of that matters. Every one of us is susceptible to the stresses and anxieties of motherhood, and postpartum depression can affect anyone, regardless of their background or status.